Seventy years ago, Enzo Ferrari test-drove the 125 S — the first Ferrari — on the streets of Maranello. Designed by Gioacchino Colombo with Giuseppe Busso and Luigi Bazzi, it boasted a 12-cylinder engine and bore the Ferrari badge. Franco Cortese drove it to victory, surpassing previous challenges, in the 1947 Rome Grand Prix — the first of six victories it would record that year. The car has since catapulted the Ferrari name to international renown, with the brand eventually joining the realm of Made In Italy iconic products. 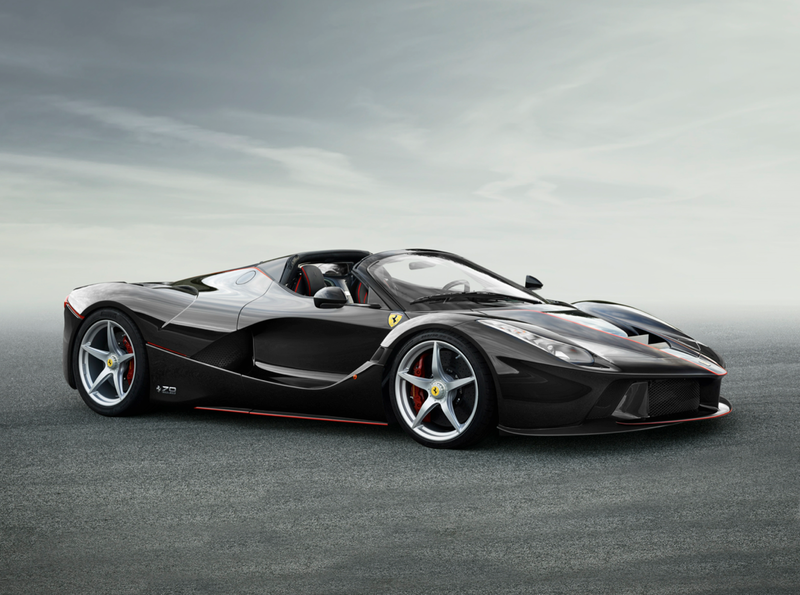 To mark the 70th anniversary of the foundation of the company, Ferrari is launching the LaFerrari Aperta, the new limited edition special series model – a spider version of the acclaimed LaFerrari supercar. The latest supercar combines extraordinary performance with the unique exhilaration of open-top driving. It is equipped with the same hybrid power unit as the coupe: an 800 cv 6,262cc V12 engine (specific power output of 128 cv/l, compression ratio 13.5:1) coupled with a 120kW electric motor for a total power output of a 963 cv.